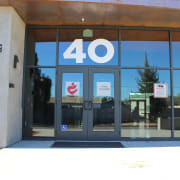 Located in San Luis Obispo, the shelter provides 50 beds nightly year-round. An additional 25 to 35 beds are added through the Interfaith Coalition for the homeless "overflow" shelter program operated in one host church each month. More than 25,000 shelter nights are provided each year. The shelter offers meals, showers, mail, phone and message services, information and referrals, and access to case management. The shelter operates exclusively during the evening hours, with clients arriving at 6pm and vacating the premises by 7:30am. Breakfast/Dinner Server Volunteer: Serving breakfast/dinner at 40 Prado. Breakfast volunteers needed 7:30am to 9:30am daily and dinner volunteers needed 4:45pm to 6:45pm Monday through Thursday. Dinner Meal Prep: Help the kitchen prepare for dinner for over 100! This position will work closely with the kitchen supervisor doing various tasks such as dicing, mixing, peeling, etc. in order to prepare for the dinner meal. Closed toed, non slip shoes are a must and hair longer than shoulder length must be pulled back in a ponytail. Kitchen experience is a plus but not mandatory. Shifts are Monday through Thursday 2pm to 4pm. Meal Providers: Provide and serve a warm meal for up to 100 people. Will provide a meal packet upon request. Afternoon/Evening Buddy: This position is full of participant interaction opportunity. As an afternoon/evening friend, you can help kids with homework, play games, help clients with job search and resume building, and just simply take time to talk with clients and learn about their day. Positions are daily from 3:45pm to 6pm. * Phone calls - Answering calls, taking and relaying messages for staff and participants. * Assist participants with making outbound calls. * Receive and distribute incoming mail to participants and staff. * Receive donations and provide In-Kind Donation receipts. Other general duties associated with this position are answering participant questions, assisting participants with signing up for a locker, signing up to use the computer in the study lounge and dog kennel sign-up. Other duties associated with this position may vary from day to day. Shift times are daily 7:30am - 11:30am, 11:30am-3:30pm, and 3:30pm-6:00pm. Daytime Office Volunteer: Filing, data entry, office work. Monday-Friday anywhere between 9:00am and 4:00pm, any amount of hours. Clothing Closet: Do you have an interest or knowledge in fashion? This opportunity assists clients with shopping the closet for needed items of clothing or coordinating an interview outfit. Volunteers needed Mondays, Fridays and Saturdays from 12pm to 3pm. Please see our website at volunteer.capslo.org to fill out an application. 5 More opportunities with Community Action Partnership of San Luis Obispo County, Inc.